Coles Mastercard is a credit card product provided by Coles Financial Services. Coles Financial Services is also a provider of home insurance and car insurance. If you’re considering a Coles low fee card, check out what’s available based a monthly spend of $1,000. Convenience: Mastercard and flybuys in one card means you get to carry one less card in your wallet. Contactless payments: Mastercard Tap & Go technology allows you to use this card for payments of less than $100. The Coles Mobile Wallet app lets you view and activate flybuys offers with your phone, while keeping track of your purchases for your convenience and control. Online: Card can be managed through online banking and mobile app. Security: Card protected by Coles Shield, which includes 24/7 fraud protection system with SMS alerts for unusual activity, chip technology, 24/7 worldwide helpline for fraud or lost/stolen cards, and Mastercard Zero Liability Guarantee against fraudulent or unauthorised transactions. Online: Card can be managed through online banking. International: No international transaction fee on purchases when shopping online or overseas. Rewards program: Earn flybuys points for money spent using the card. For more information about eligibility requirements, refer to the Coles Financial Services website. First, check whether you are eligible to apply for a Coles Mastercard. See above for the eligibility requirements. If you meet the eligibility requirements, you can apply online. Have your ID and income details handy, as well as your flybuys membership number (if you have one). Check our list of documentation you may need when applying for a credit card. You can expect to receive a response in less than 60 seconds (Coles/Citigroup). In some cases, an instant response cannot be made and you will need to provide further information before the card can be approved; in this case, the card provider will contact you. You can check your application status at any time by calling 1300 306 397. Once your card has been approved, you are immediately able to use the account number to pay for purchases or paying bills. 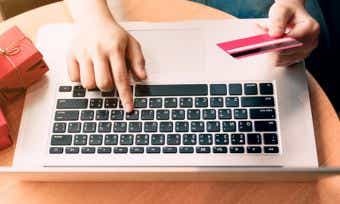 How do I manage my Coles Mastercard through online banking? You can manage your Coles Mastercard using online banking or using the Coles Mobile Wallet app. Use these systems to do things like view your recent transaction history, view your balance, and more. What is the Coles Mobile Wallet App? You can use the Coles Mobile Wallet app to manage your Coles Mastercard, view your transaction history for your Coles Mastercard, and view your flybuys points balance. How is interest calculated on my Coles Mastercard? 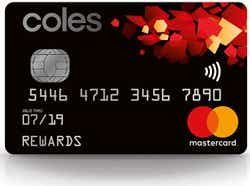 Interest is calculated daily and charged monthly on the Coles Mastercard. Interest is charged when you carry a balance on your Coles Mastercard. Interest is charged on cash advances from the date of withdrawal (fees and charges apply) and balance transfers from the date of transfer. 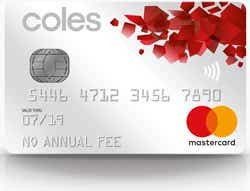 Up to 55 interest-free days apply to Coles Mastercard purchases if you have paid the balance in full for the previous month’s statement and for the current month’s statement (the statement on which the purchases are listed). 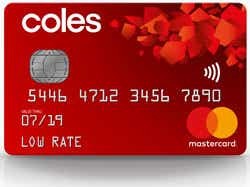 What will my credit limit be on my Coles Mastercard? Your credit limit for a Coles Mastercard will be determined based on the information you provide in your application and subject to credit criteria. Please note – the credit limit cannot be any lower than the product minimum. Find out more about how credit limits are determined here. How do I close my Coles Mastercard account? If you are experiencing financial hardship, contact the Customer Support Team to get help in making repayments. Coles began in 1914 as a discount store with the slogan “nothing over 2/6”. They branched out into financial services in the 21st century. 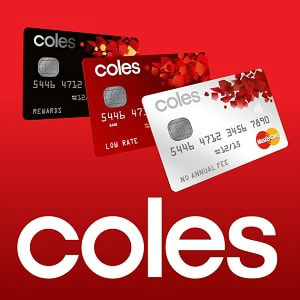 Coles Financial Services was the first to market in Australia with a No Annual Fee credit card. Their products are underwritten by some of the biggest financial service providers in Australia. Coles has more than 101,000 team members and they see 18 million transactions every week. Coles provides financial services, fresh food, groceries, general merchandise, and fuel to more than 20 million customers on average each week through its store network and online platform.